Vegan dishes often lack depth of flavour and variety. Marinades and Glazes are used to help create mind-blowing food. They contribute to the development of taste and texture in a wide variety of foods. Therefore, offering up bursts of flavour to whoever is lucky enough to devour these dishes! Originally, water was used to preserve food rather than flavour it. Consequently, Seawater was used due to the high salt content, acting as a natural preservative. This is where the word marinade derived from. With the French word mariner meaning ‘to pickle’. 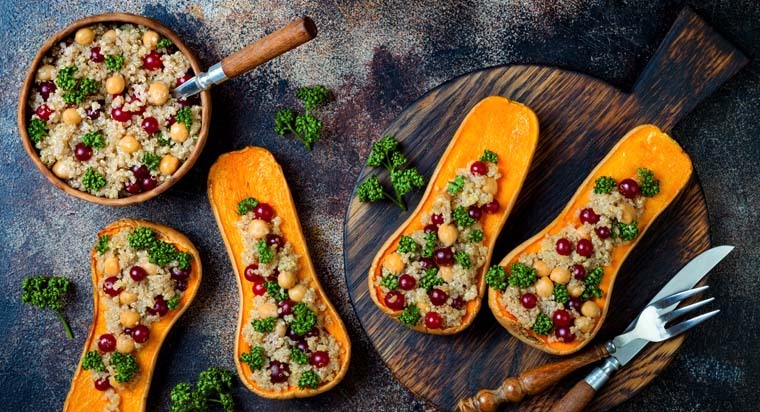 With a growing number of people opting to go completely meat free, not only in the UK but around the world, meat substitutes such as Tofu and Tempeh are becoming increasingly popular and widely available. There is much more of a variety now then there has ever been. Furthermore, the addition of fruit to vegan dishes such as chickpeas and couscous is also growing in popularity. Adding sweet fruits to meals with otherwise one-dimensional flavours is a tradition which started in the middle east. However, it is now eaten across the globe. As some meat substitutes can also be very bland, the perfect solution is to add some St. Dalfour Preserves, which are suitable for vegans, to your favourite vegan dishes, to take your food up a level! Making your own vegan marinated delights at home could not be simpler. Just add your favourite St. Dalfour Preserve straight onto your vegan substitute or vegetables before cooking. Roasted in the oven, the St. Dalfour preserves will offer a sweet and sticky glaze. Alternatively, you could add a drop of water to one of our preserves to create an overnight marinade for a more intense flavour and extra succulent texture! Here are 3 St. Dalfour inspired seasonal vegan marinade marvels you should create at home to impress your friends and family! Check out our other St. Dalfour products and for more inspiration and recipes, click here.